We had a variety of snacks for the little one’s art themed party at the Children’s Museum last weekend. Since I was transporting food and crafts, I decided to keep things simple and make the cupcakes with icing in different primary colors. I used cardboard to cut out an art palette shape, and then covered it with white cardstock. I made three of these palettes- each held five cupcakes. 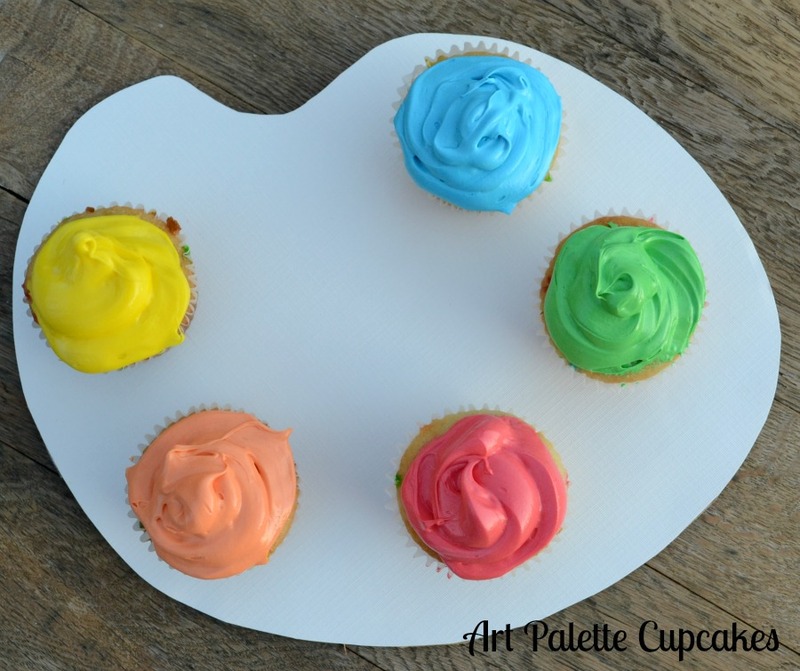 This is such an easy way to display cupcakes without a cupcake stand! I may link this post to these parties! Hamilton Beach Durathon Iron Giveaway! What a clever cupcake stand! It looks just like a painters pallet. Oh my goodness! I love this idea!!! So clever and cute I love the palate idea! !